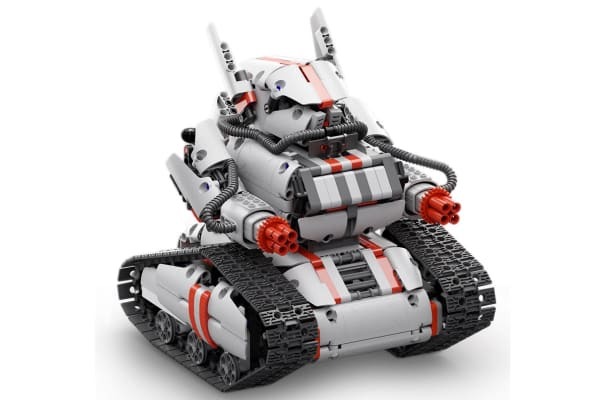 Navigate through enemy territory and squander opponents with the Xiaomi Robot Builder Rover, built with over 1000 parts and modular coding to help make your rover come to life. Assemble into a truck, tank, rover and more! 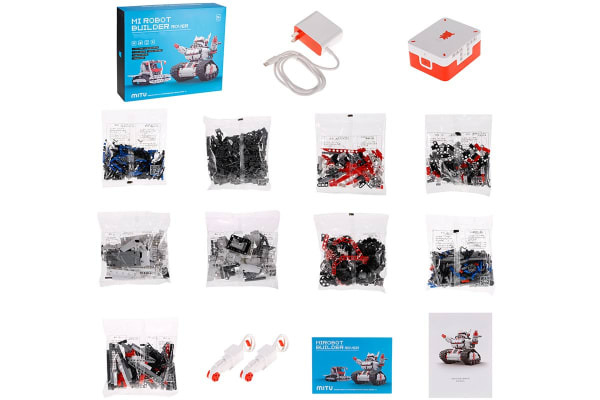 Safe for children and adult alike, assemble your own rover truck, tank, spaceshift or aircraft with the Xiaomi Robot Builder Rover, and watch your rover go with just a swipe of your phone! 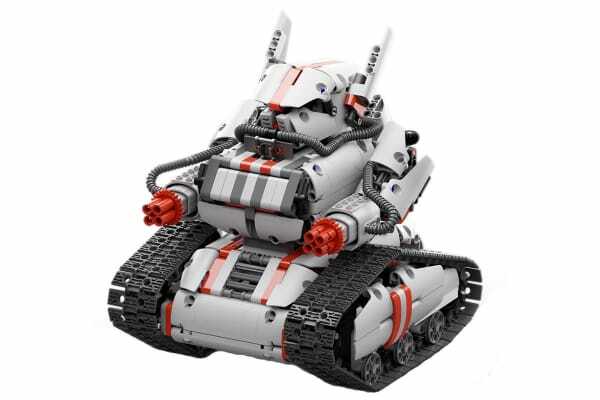 Featuring a dual controller mode, voice command and a gyroscopic tilt controller, take swift control of your rover and direct it through enemy terrain with the Mi Robot app. Just sync up via Bluetooth and navigate away. Program the mannerisms, sounds, movement loops and even dance moves of your rover with modular graphics on the Mi Robot app, and customise your rover to suit your tastes and territory. WARNING: choking hazard. Toy contains small parts. Not suitable for children under 8 years.